I’ve never been much of a girly girl. I don’t wear heels unless I REALLY have to, but other than that, I pretty much LIVE in sneakers. I tend to dress from the feet up meaning I pick what sneakers I want to wear first and then pick the outfit to match the sneakers. 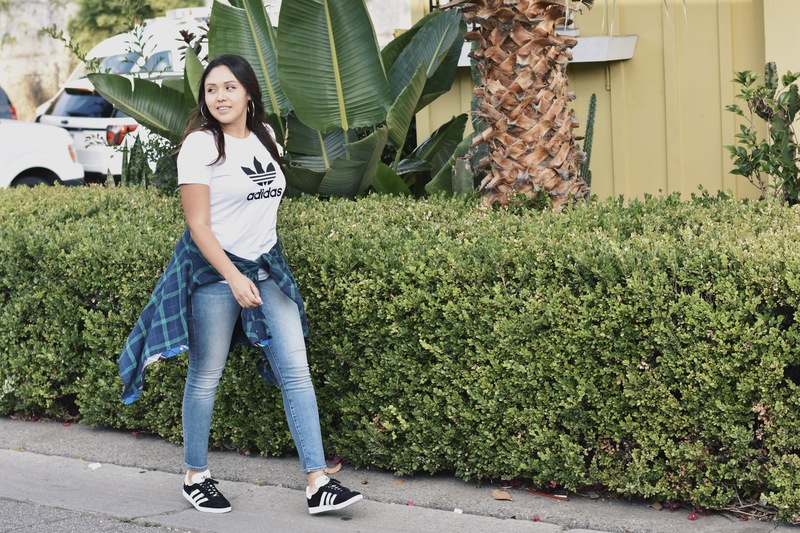 Due to this, most of my wardrobe is black, white, greys, neutral colors, and I have a ton of staple pieces such as denim jackets, that can turn an athleisure outfit into a more dressed up outfit. The best part about this adidas Originals Trefoil T-Shirt is it’s right up my alley when it comes to colors and I can wear it with just about anything. 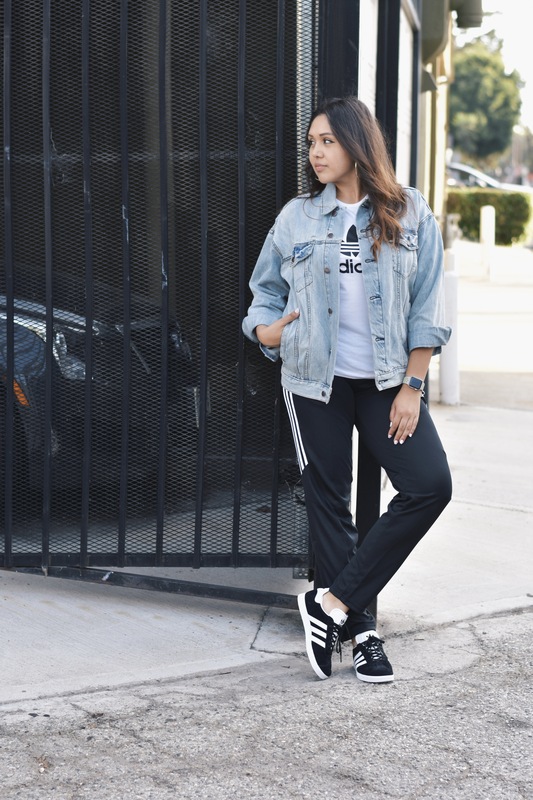 Classic sneakers are always a plus for me when I’m on the hunt for new sneakers because you know they will ALWAYS be in style. 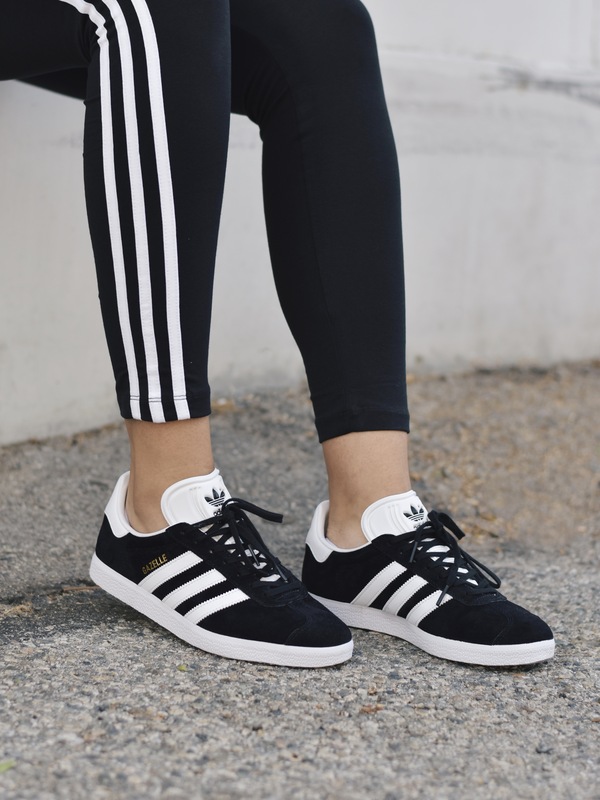 These adidas Originals Gazelles can be worn so many different ways and for every season. I paired them with adidas Leggings, adidas tiro training pants and blue jeans. As a runner, I always find myself reaching for leggings when I’m getting ready, but I do still wear jeans to mix it up. Leggings are just so easy to wear and the true definition of comfort! That’s why I love the adidas Originals 3-Stripe Leggings. I can go from working to working out and doesn’t get any better than that. Whenever I love my outfit, I seem to have a great day! Self confidence starts with self happiness. 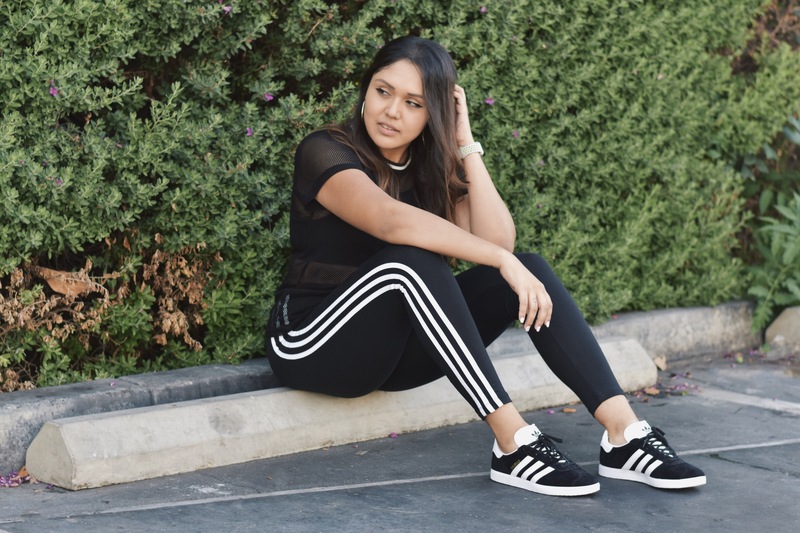 To me, athleisure wear & sneakers opens that door and allows you to be exactly who you are!